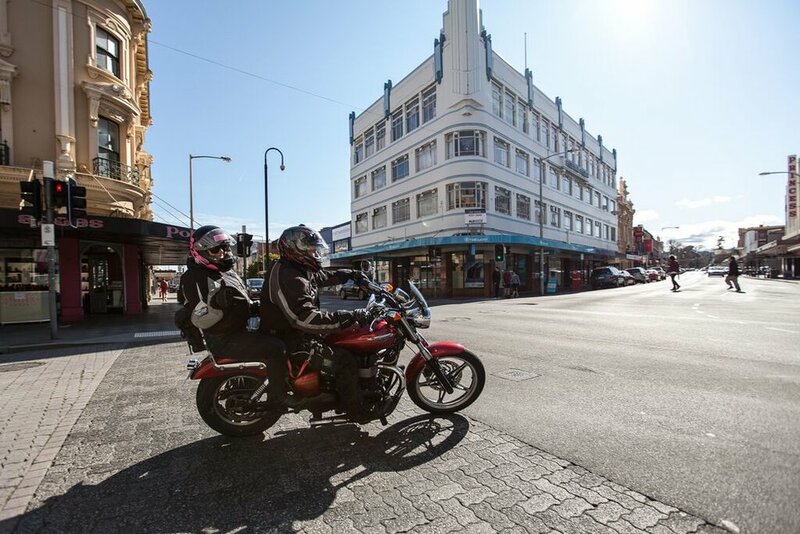 The performance involves planned journeys that tour throughout the city and the surrounding landscape, with choreographed moments of bikers being separated and brought together. Sound design plays a large part in the performance, layering interviews, music, and soundscapes, gathered from – and created with - the local biker community, into an audio experience, a mini documentary reflecting individual rider’s thoughts and experiences of being on and with a bike. //RIDE is a celebration of motorcycle culture. It is a reflection on how we think and see things differently when travelling through landscape. It is about how we look forward and how we look back, and whom we choose to travel with along the way. //RIDE is a meditation on freedom, searching, standing alone, and holding onto someone for dear life. Abigail is currently developing tour of //RIDE. She hopes to collaborate with local riders from each place the work visits. For further information or a tour pack please email her directly. //RIDE was commissioned by Junction Arts Festival in Tasmania (AU) and was developed with support from The British Council, Shoreditch Town Hall, Battersea Arts Centre and Forest Fringe (UK). 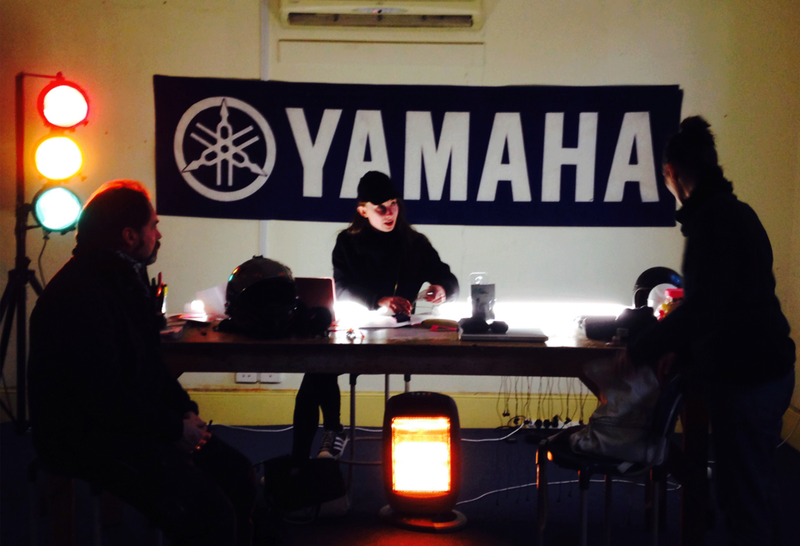 RIDE was part of the Live Art Development Agency's DIY 11 programme in 2014, supported by Cambridge Junction. Research and development supported using public funding by the National Lottery through Arts Council England. Travel notes and discoveries can be found on our ongoing blog here. //RIDE was originally conceived by Abigail Conway and developed in collaboration with Melanie Wilson and George Tomlinson.